Boasting a high dynamic range, low noise levels and resolution approaching that of larger formats, the Nikon D800E is one of the most desirable DSLRs for landscape photography. Sensors in cameras like this are very demanding of the lenses used and while the choice of high quality wide-angle primes is good, they usually command a premium. Fortunately, manufacturers are systematically revamping and refining the optical designs of their slower, more modestly priced models to complement today’s ultra-high resolution cameras. Although not particularly slow, compared to zooms, Nikon’s new 28mm f1.8 is typical of the high-performance one can expect. They’ve yet to overhaul their film-era 24mm f2.8 – but this focal length is already well represented in Nikon mount. Arguably, the 24mm is the most popular focal length with its expansive 74 –degree horizontal field of view, good depth of field and low geometric distortion. 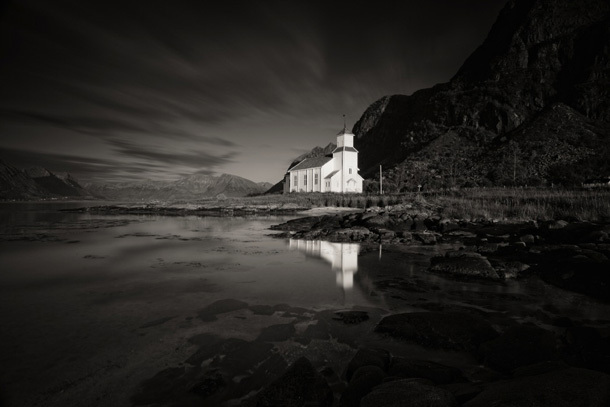 Also, wider lenses are popular for their more extreme field of view, as the image above of Lofoten church taken at 20mm on a Nikon D800E amply demonstrates. However, highly corrected 14/15mm lenses usually don’t come cheap, but Nikon users do have a choice of some excellent ultra-wide zooms. Zoom lenses are naturally popular for their convenience, and one ultra-wide model is tempting especially as it could replace several fixed focal length lenses. Full-frame high-grade ultra-wide zooms aren’t exactly cheap and rarely match their equivalent primes in outright image quality but recent advances in lens design has resulted in some excellent new models. All three of Nikon’s current ultra-wide models, stand out in that regard and are hard to beat both in value and performance. But bear in mind while the critically acclaimed AF-S Nikkor 14-24mm f2.8G looks good on paper and performs well, the hugely convex front element and built-in lens shade make it difficult to attach filters. 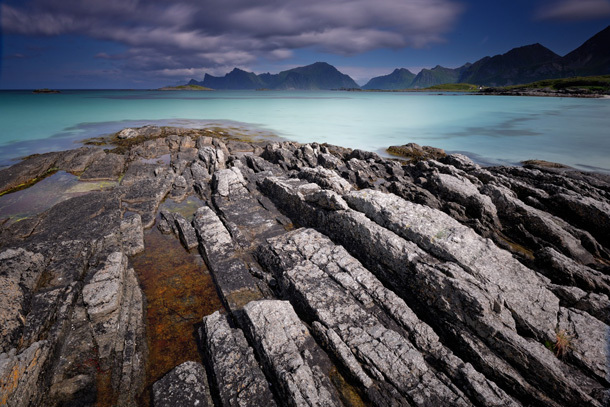 Both the newer AF-S 16-35mm f4G VR (used to take the picture above), and the recently revamped AF-S Nikkor 18-35mm f3.5-5.6G ED easily accept filters making them a hugely popular alternative for landscape photographers. 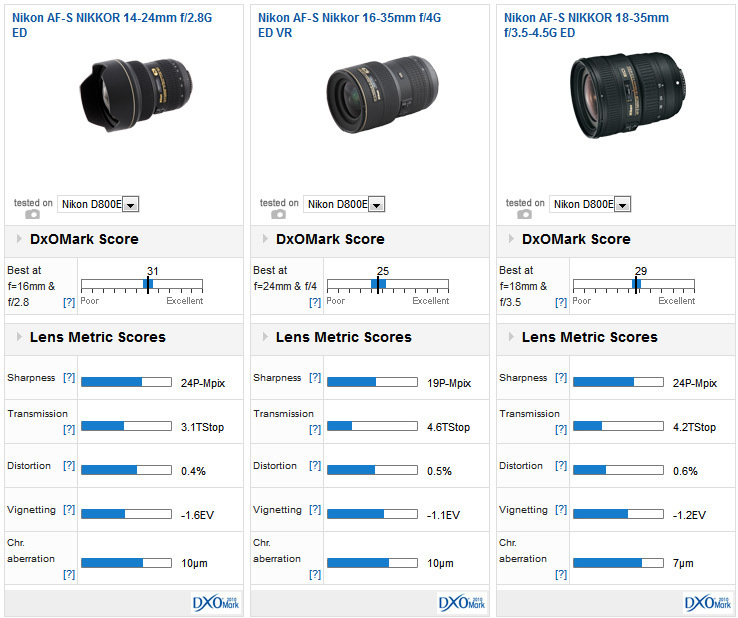 Of the wide-angle lenses analyzed the best performing models are unsurprisingly those closest to the 50-85mm focal lengths. Models with shorter focal lengths are much more difficult to correct for the various aberrations that inevitably occur at such extremes. 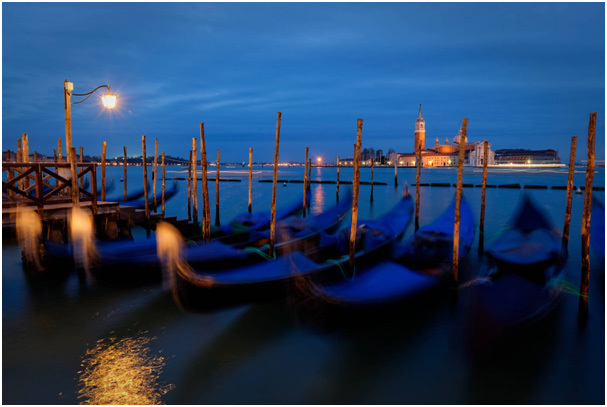 The Art series Sigma 35mm f1.4 continues to perform well on the Nikon D800E and not only is it the best corrected but it has the highest peak sharpness. In fairness, though, the 24mm focal length is arguably the most popular wide-angle model, and it’s well suited for landscapes. The two manual focus Zeiss 25mm models are notable, the high-speed version for its outstanding image quality, and the other for its close focus capability, price and rugged build. Although Nikon produce a PC-E Nikkor 24mm f3.5D ED at $2,000 with perspective control movements often favored by landscape and architecture photographers, we’ve not tested it. Also, the firm has still to upgrade the film-era AF-Nikkor 24mm f2.8D model however the recently revamped 28mm f1.8G is a good performer on the D800E, and at $699 it’s modestly priced. 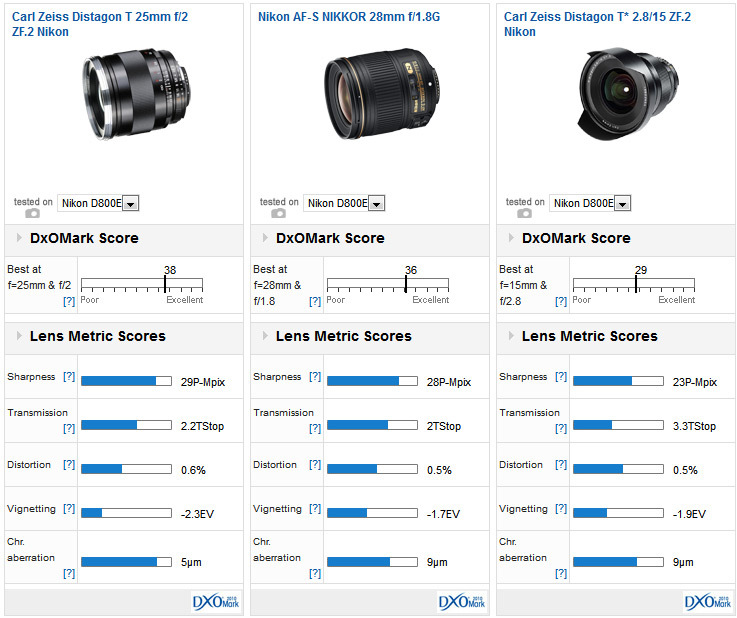 The best performing ultra-wide by some margin is the Zeiss Distagon T* 2,8/15. It has excellent sharpness and an outstanding DxOMark lens score for a lens like this, but at close to $3,000 it’s a serious investment. If you’re a Nikon user already it will come as little surprise to learn that the AF-S Nikkor 14-24mm f2.8G ED head this particular list. It’s so good it has replaced the appropriate prime wide-and ultra-wide Nikkors in most landscape photographers’ packs. If there’s a downside, it’s that the use of ND and polarizer filters is impractical due the bulbous front element. A couple of custom filter holders have been introduced to accommodate the design but they’re far from ideal. Nevertheless, Nikon D800E users have several other choices including the more modest yet still excellent stabilized AF-S Nikkor 16-35mm f4 ED VR and the recently revamped ultra-lightweight AF-S Nikkor 18-35mm f3.5-4.5G ED. Although not as extreme as the other two models, at a relatively affordable $750 this new model is the value option and, like the 16-35mm f4, it readily accepts filters (albeit 77mm in both cases). Also, the Tokina is worth a mention for its optical quality, but it’s a big and heavy lens. Unfortunately, the optical design includes a highly convex front element, not unlike the AF-S Nikkor 14-24mm, making practically impossible to use filters without a custom filter holder. In Part III, we’ll be taking a look at the best performing standard and telephoto models on the D800E for use in the studio and for photographing wildlife. 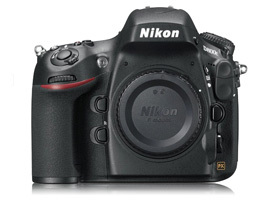 If you have a Nikon D800E and a favorite lens, we would very much like to hear from you. Please leave a comment below, stating what lens it is and why you like it.